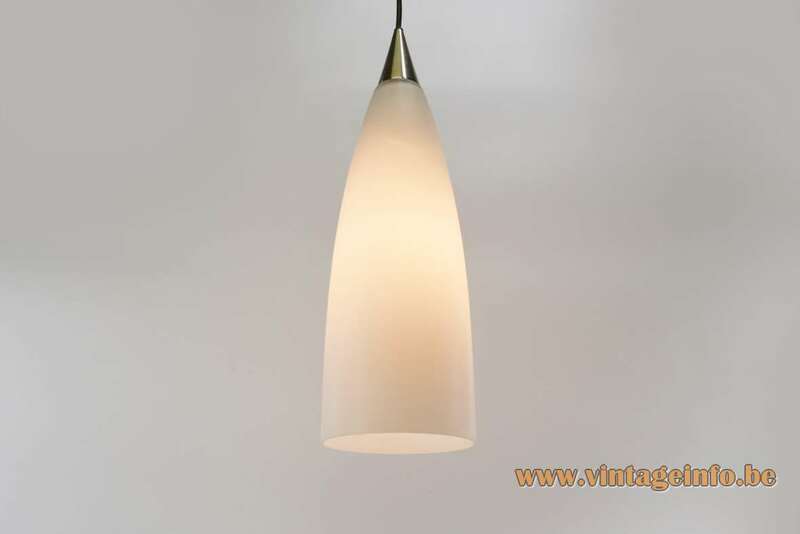 Materials: White satin-finish hand blown glass. Satin-finish nickel-plated metal (iron) and canopy. Rubber coated electric wire, some plastic parts. Some metal parts and socket. 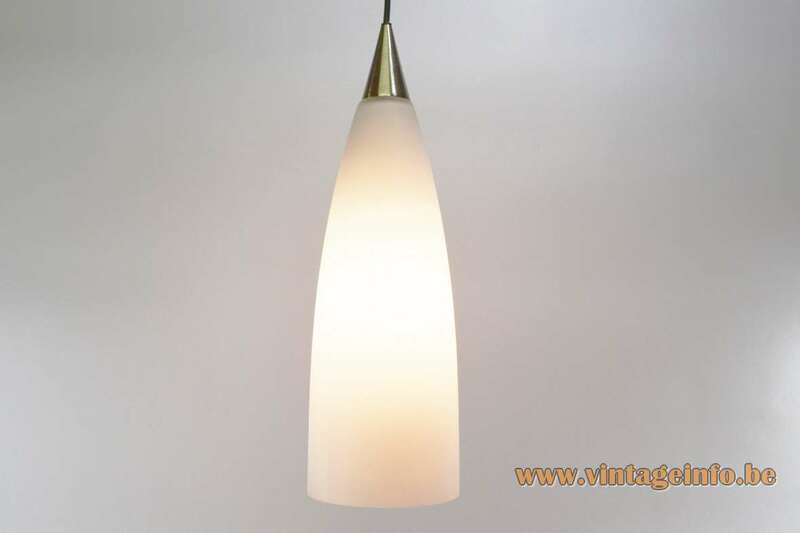 Electricity: 1 bulb E14 halogen, 1 x 100 watt maximum, 110/220 volt, IP20. Any type of E14 light bulb can be used. But preferable a white/opaque or frosted one. 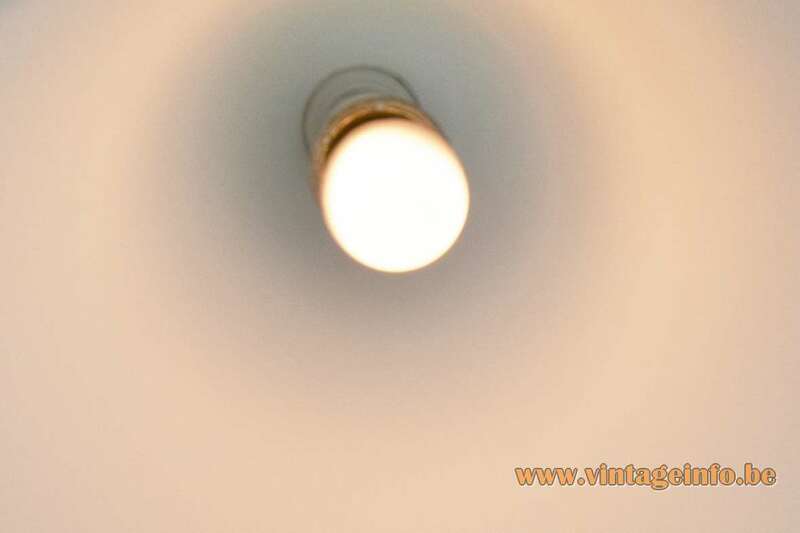 Bright light bulbs cause streaks on the glass and therefore also on the walls. These 3 lamps have E14 sockets, but the catalogue scheme below says E27. Probably they were made in 2 versions or it’s a typo. 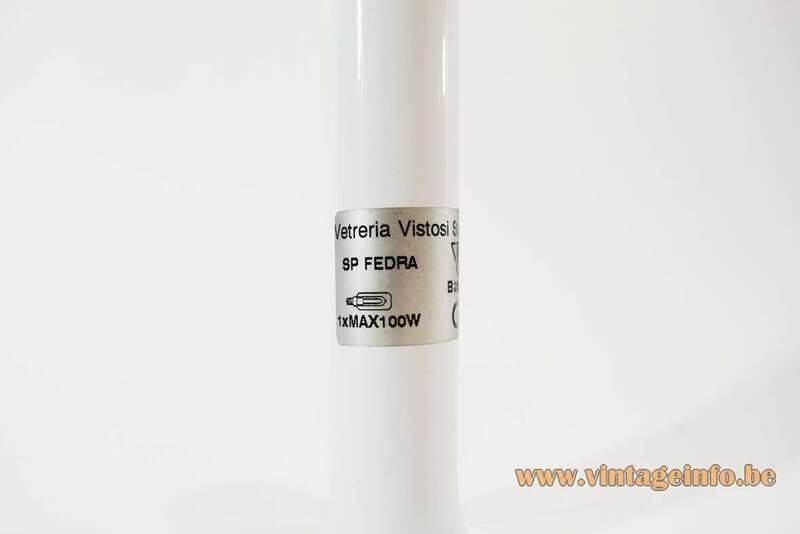 Manufacturer: Vetreria Vistosi, Murano, Italy. 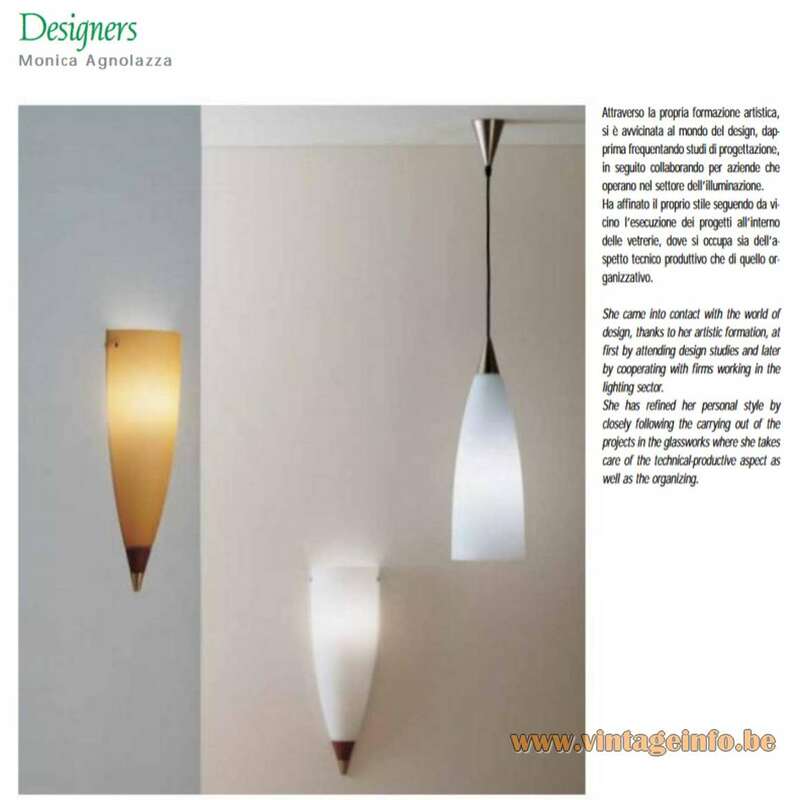 Other versions: Also made as a wall lamp (AP) and a floor lamp (PT). Also made in yellow topaz colour. The wall and floor lamp also have a wood decoration. 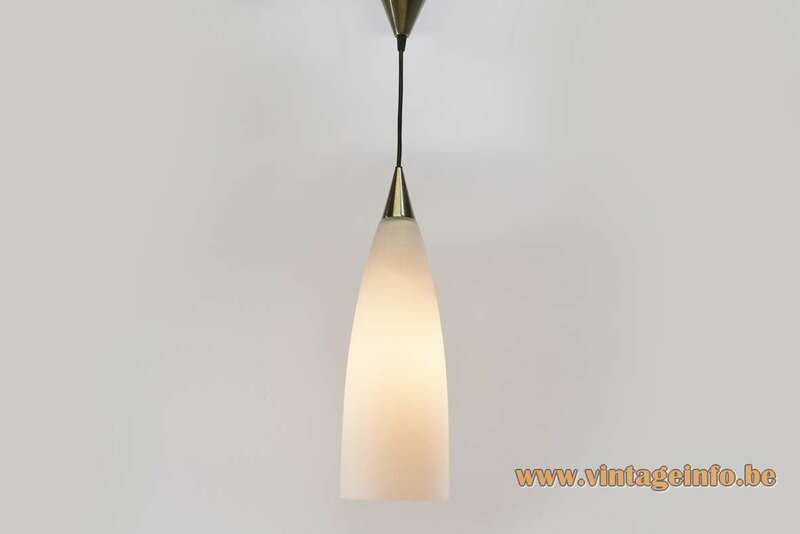 The pendant lamp is model SP. 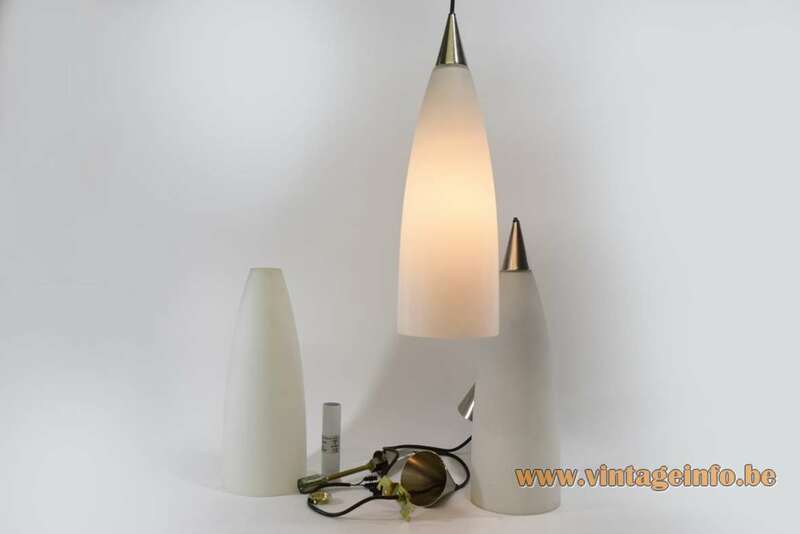 These lamps were at least produced until 2003. 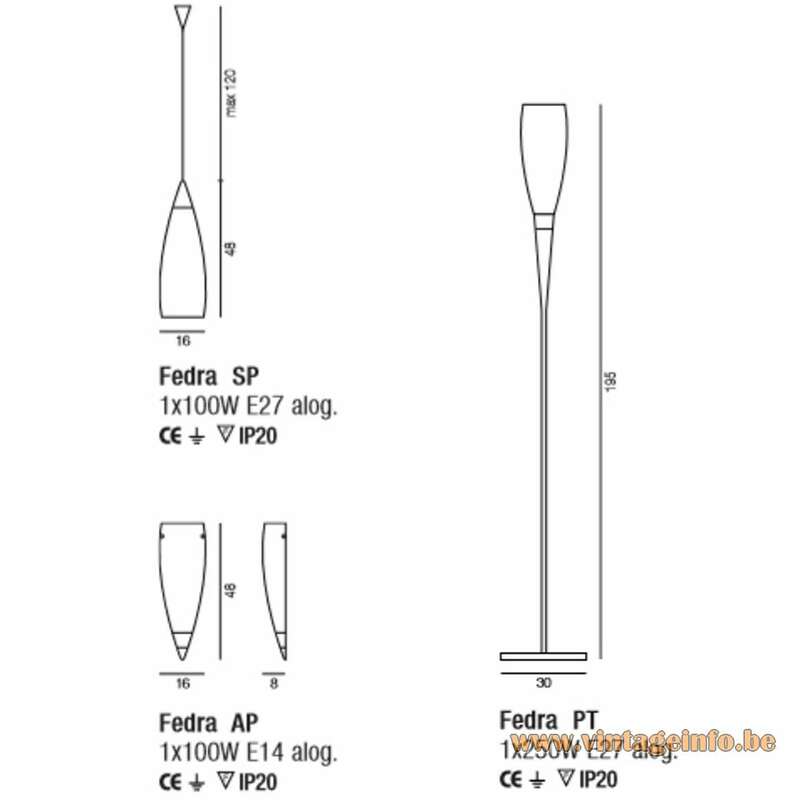 In 1956 Alessandro Pianon, a Venetian Architect, joined the company. Together with second generation Luciano and Gino Vistosi they gave a swing to the company focusing on innovation and design. The company has employed some very relevant designers such as Angelo Mangiarotti, Gae Aulenti. Peter Pelzel, Ettore Sottsass Jr., Adalberto Dal Lago. Vico Magistretti, Enrico Tronconi and so on.